Try out these suggestions to prepare for a barbecue. Are you hosting a barbecue in the near future? Then it’s important to understand that a successful barbecue requires much more effort than simply throwing some food on the grill. In fact, hosting any kind of party at your home requires considerable planning and attention to detail. Here are some of the things you should take care of to ensure that your home is ready. If you are hosting a barbecue, then most of the action will surely take place in your yard. That’s why it’s important to make sure that everything looks well-cared for. You should start by raking leaves, trimming overgrown bushes, and cutting your lawn. If you want to add a little more visual interest to your outdoor space, consider planting bright flowers for a fresh pop of color. Nothing ruins a party faster than pesky, uninvited guests. Unfortunately, dealing with annoying bugs is simply part of hosting an outdoor party. To keep bugs at bay, try burning citronella, running outdoor fans, and applying bug spray. If you live in an area with particularly high bug populations, consider using mosquito nets to keep bugs out of your party space. Finally, it’s important to make sure that your grill is ready for the party. Make sure that you clean your grill plates thoroughly, and make sure that you coat them with oil to prevent food from sticking. 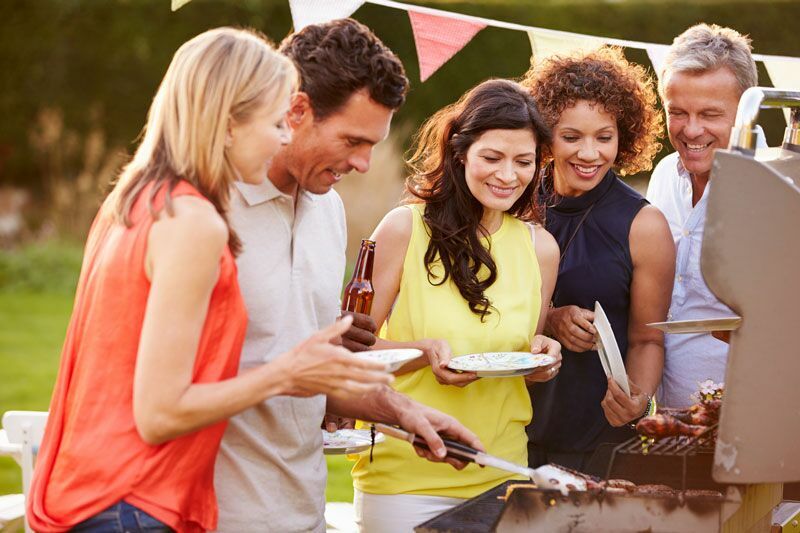 You should fire up your grill a couple of minutes before your guests are scheduled to arrive so you can start cooking as soon as the party gets started. Make sure you keep a fire extinguisher within reach, just in case your grill’s fire gets a little too out of control. These are some of the steps that you should take to ensure that your home is ready for your next barbecue. Remember, you should also have the right homeowners insurance to protect yourself and your guests from any accidents. To get the right coverage to meet your needs, contact the professionals at The Schwab Agency in Colleyville, Texas. We are ready to assist you with all your coverage needs.